From 19. – 20. 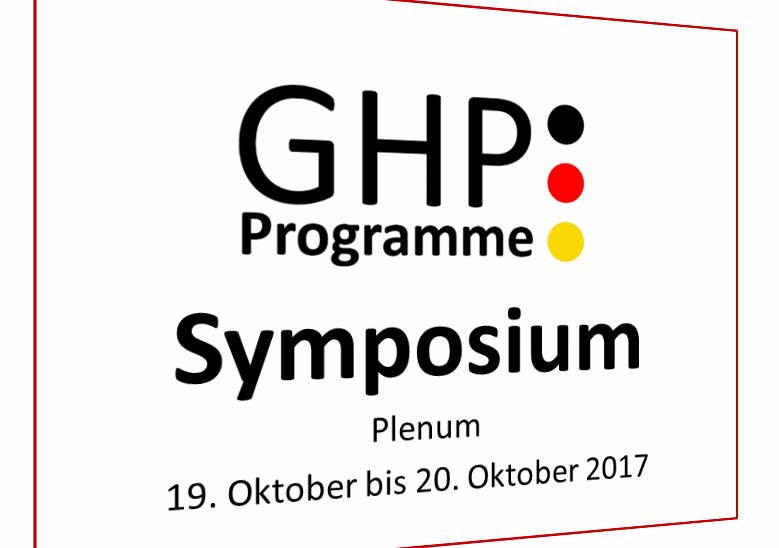 October 2017 the Global Health Protection Programme Symposium took place in Potsdam with representatives from the Federal Ministry of Foreign Affairs, Federal Ministry of Interior, Federal Ministry of Economic Cooperation and Development, Federal Ministry of Defence, German Red Cross and the Friedrich Löffler Institute and project team members. The Global Health Programm started in 2016 was created based on the lessons learned from the Westafrican Ebola crisis. Implementing partners are the Federal Institute for Drugs and Medical Devices (BfArM), the Bernhard Nocht Institute for Tropical Medicine (BNITM), the Paul Ehrlich Institute (PEI) and the Robert Koch Institute (RKI). The specific expertise of the specialized institutions thus contributes in the field of public health security in partner countries. The aim of the symposium was to inform about the results so far achieved and to enable cross-departemental information exchange on activities in the frame of global health security.